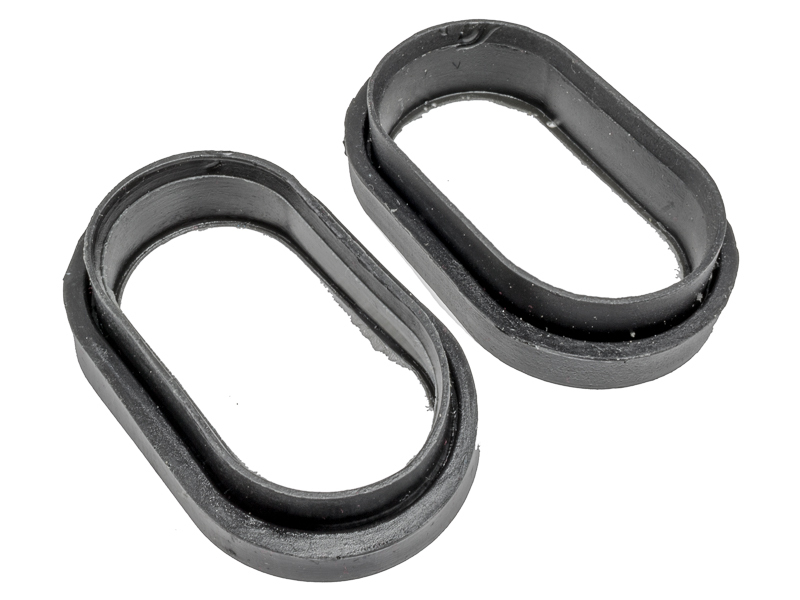 Why You Need This: The factory air filter-battery box seals for the Honda CB450 and Honda CL450 are hard to come by. If you are running factory air filters then there's a good chance your bike needs a fresh set of these. They help keep un-filtered air from making its way into your carburetors. Sold in Pairs. Installation Tip: Use a light coat of grease or oil so the filters slide on and off with ease. Line up the filters in the seals before torquing down the mounting bolts.